Batman Hates Sharks. Real Bad. 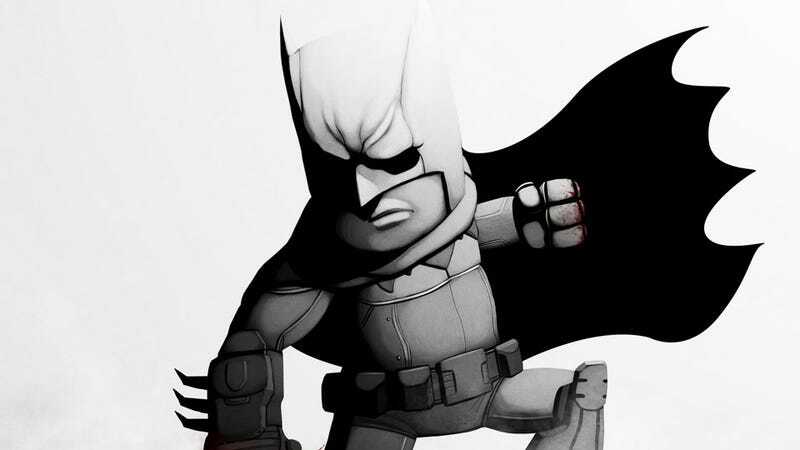 Artist kay-too sought to "emulate the art style of the marketing for Batman: Arkham City" with this cute piece. The black & white palette echoes that used on the game's posters and cover art. The punching the shark echoes an unfulfilled dream I had for an entire section of the game.